LangTai Stainless Steel Water Tank Co., Ltd. is a professional manufacturer of stainless steel water storage tanks, stainless steel square water tanks, stainless steel square water tanks, stainless steel cylindrical tanks, stainless steel cylindrical insulation tanks, self-cleaning sterilizers, UV sterilizers, stainless steel Pressure tank, stainless steel living water tank, stainless steel fire water tanks and other products. 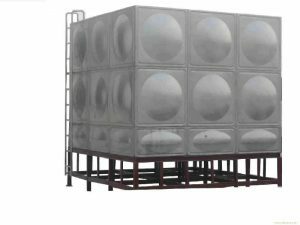 Stainless steel fire water tank physical and chemical properties of stability, no pollution of water quality, to ensure clean water quality. Tank high strength, light weight, clean appearance, beautiful and elegant. Surface smooth and beautiful. Stainless steel fire water tank is in the water storage activities, for many people to provide water facilities, storage tank, on the one hand, so that the water pipe filled with water, save the pump is full of time after the pipeline, to save the water to win the time. 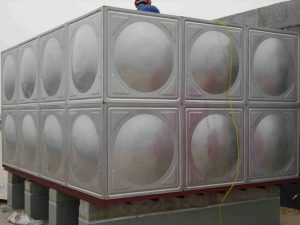 On the other hand, the roof set of pressurization, stabilization system and water tanks to ensure the enrichment of water column, for the success of the water has a decisive role. Mainly used in residential buildings to regulate water supply, fire water tanks, storage tanks, expansion of the heating system, condensate water tanks, construction, road construction, geological survey and defense projects such as temporary water tanks.